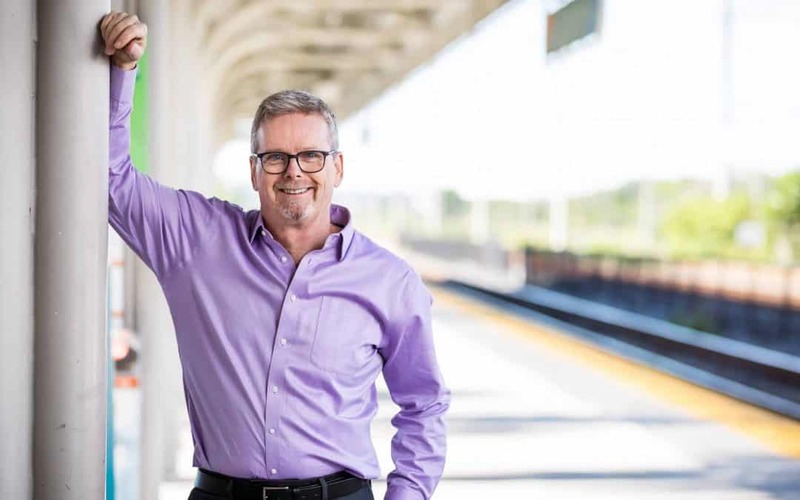 Michael Docherty—Managing Partner of venture firm NextBig and author of Collective Disruption: How Corporations and Startups Can Co-Create Transformative New Businesses—talks about the secret to innovation success. As executives within successful corporations, we like to believe that our organizations have all the capabilities needed to innovate for our customers. We are the experts, the leaders; but when it comes to disruptive innovation, that is rarely true.In reality, large companies are often blindsided when it comes to disruptions. All of the strategies, business processes and management rewards systems within established companies are focused on optimizing a complex machine for growth and profits. These same characteristics stand in the way of creating transformative, breakthrough products and businesses. Startups, on the other hand, run toward risk, iterating and pivoting toward breakthrough new business models. This is why corporations must learn to form stronger partnerships earlier with entrepreneurs and startups to build new businesses. Large corporations need new sources of growth, but struggle to embrace entrepreneurial, high-risk opportunities. Many startups excel at using speed and agility to incubate breakthrough ideas, but lack access to brands and distribution for scale. Companies must learn to play the disruption game and use it to continually reinvent themselves. The time has come to challenge the paradigm that the startups are always the ones that disrupt large, established companies. Large companies can do it by learning to partner in new ways with these same startups that have been out to disrupt them. Johnson & Johnson is currently identifying and engaging with early-stage startups and entrepreneurs in its four global innovation centers. Entrepreneurs gain critically important support from J&J scientific, regulatory and business experts residing in these innovation centers—all while the entrepreneur retains 100 percent ownership. Why? Because J&J understands the importance of early engagement and positioning itself as the partner of choice. Coca-Cola, on the other hand, ran a very successful corporate accelerator program of its own called the Coca-Cola Founders Program. By recruiting external founders and then letting them build new companies around Coca-Cola’s assets, relationships and resources, Coca-Cola gained early access to new opportunities; the founders got an unfair advantage through their relationship with a leading brand company. In the past two decades, Cisco spent more than $2 billion acquiring the startups of a trio of serial entrepreneurs (mostly ex-employees). Cisco was usually the sole investor and then acquired each spin-in as they were ready to scale. Nuovo Systems was founded with a $70+ million investment from Cisco. Then Cisco acquired the business for $678 million two years later. Crazy? Perhaps, but the Unified Computing Systems (UCS) server category that this created grew into a $3 billion business for Cisco. As for a personal example, my firm (NextBig) is part of a growing number of ‘startup studios’ that are emerging to help established companies build and launch these new businesses. A leading financial institution in the Czech Republic worked with our partners there (Creative Dock) to disrupt themselves and co-create a new venture; it grew into the leading peer-to-peer lending platform in the country within eighteen months—something they could never have done within the existing organization. The lesson: We can make a bigger difference together. These examples provide hints of the future of work. This coming world of the virtual enterprise is one that is connected in a web of relationships with customers, suppliers and a curated group of entrepreneurs and startups that matter to one another—all supported by crowdsourcing and open innovation for access to even larger groups of ideas and resources in the world at large. Therefore, learn to lose some control and embrace new approaches to collaboration and business building. You will be inspired and amazed by what can happen. Michael Docherty is Managing Partner of NextBig, a venture firm that co-creates startups with leading corporations. He is the author of the book ”Collective Disruption: How Corporations and Startups Can Co-Create Transformative New Businesses”.